The Old Town of Kotor is not the only place worth visiting on the Bay of Kotor. Numerous little villages dot the coastline where you can swim, eat and relax. 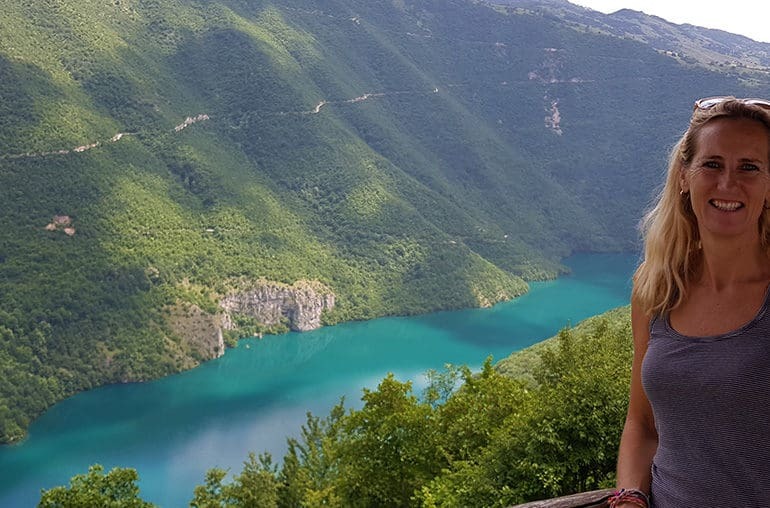 Donji Stoliv, Prcanj, Ljuta, Perast, Risan and Morinj, are all quaint village that makes for interesting stops on a day trip around the Bay of Kotor. Hire a car, catch the local bus or if you are daring, hire a bicycle to traverse the narrow windy roads around the Bay. You’ll find very few tourists and catch a glimpse into the local Montenegran way of life. 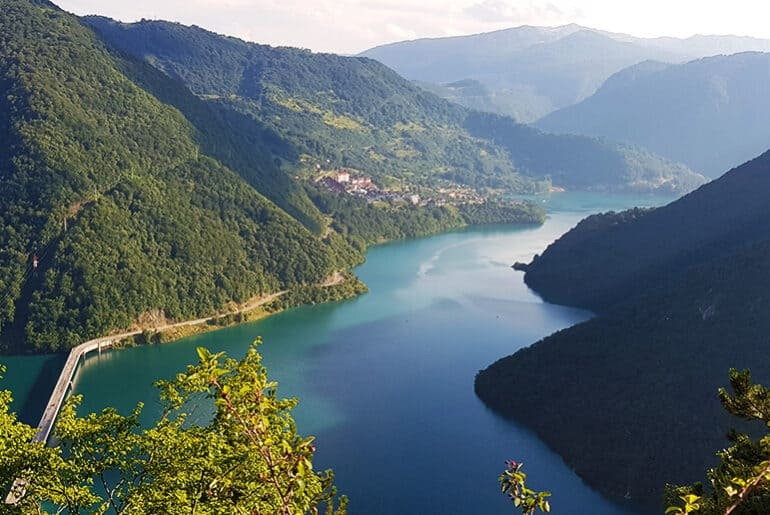 If you’re looking to be a little more active, you can climb the City Walls of Kotor, the Ladder of Kotor or for something completely different, try hiking the Vrmac Ridge. The day was heating up fast and I was in need of a swim, so we set off for the incredibly charming little town of Perast. The road hugged the coastline with the Bay of Kotor glittering alongside us. We passed numerous little fishing villages along the way with people suntanning and swimming off little concrete jetties. Away from the crowds of Kotor, this is where you want to come to relax, unwind and have a true holiday. Perast is a pedestrianized village so we found a place to park – free of course – just before the paid parking – and wandered into the town. Perast could possibly be one of the most picturesque towns I’ve ever been in with white stoned Venetian palaces and Baroque churches, all draped in red bougainvillea. Sunflowers taller than me stretching up to the heavens. Gorgeous white linen-clad restaurants hung off the side of the promenade with perfect vistas over the sea and a couple of rowing boats bobbing about in the little harbour. It was so peaceful and tranquil – the kind of place you can’t help but relax in. The town is full of Baroque churches, Venetian Palaces and it has a fascinating museum. It has got busier with the arrival of cruise ships and tour buses, but these tourists get dropped at one side of the town and only have 30minutes to walk through to the other side before being picked up again, which means quiet evenings should you wish to stay here. Just out to sea are two islands, the artificial Our Lady of the Rocks created by fisherman placing a stone after each successful voyage and the non-artificial island with the St George’s Monastery. 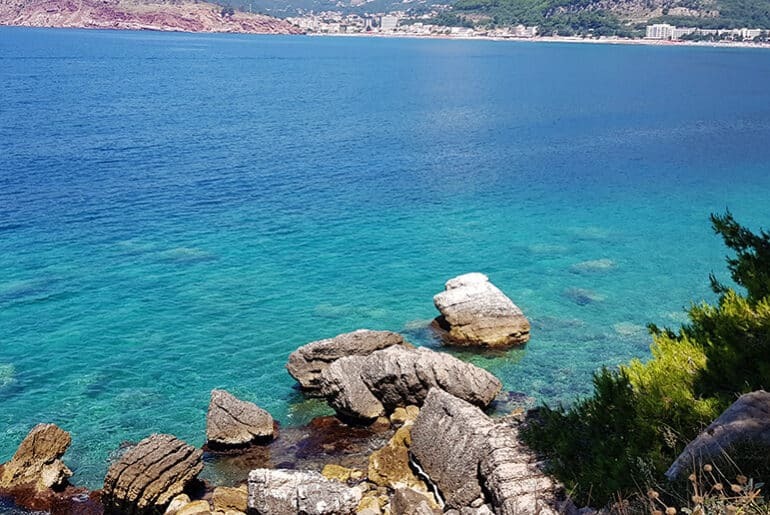 Our Lady of the Rocks is the only artificial island in the Adriatic Sea and legend has it that two sailors found a picture of the Virgin Mary on a rock in 1452. From then on, they would place a rock at the site after each successful sea voyage. The tradition is still continued today with the festival called Fasinada occurring on the on 22nd July every year. The best way to visit the island is by boat from Perast. You can negotiate but the going rate is around €4-€5. The promenade follows alongside the sea, stretching the length of the village. Restaurants and cafes are dotted all the way along, so there is no shortage of places to eat, drink and be merry while gazing at the gorgeous views across the bay. Wander the cobbled alleyways, peek inside the old churches, visit the museum, hang out with the locals in the square and of course stroll the length of the promenade. If the weather is warm you won’t be able to resist the crystal clear waters, then basking in the sun on the concrete jetties. We found a really funky place called the Pirate Bar, which had huge comfy chairs, big double bed sun loungers, and awesome chilled music. There was a choice of a little beach or steps off a jetty into the crystal clear water. We were so happy having lunch and hanging here until a huge storm blew in and we were hit with torrential rain. Some die-hards continued to swim in the pouring rain, but I guess they were wet anyway! As the rain hit, everyone scrambled for shelter, huddling undercover till the worst was over, then Tai and I made our way back to Miles. My lunchtime beer was working its magic and we were both a bit knackered from our hike the day before, so right there on the side of the road, we had a quick forty winks. Oh, how I love campervan life! 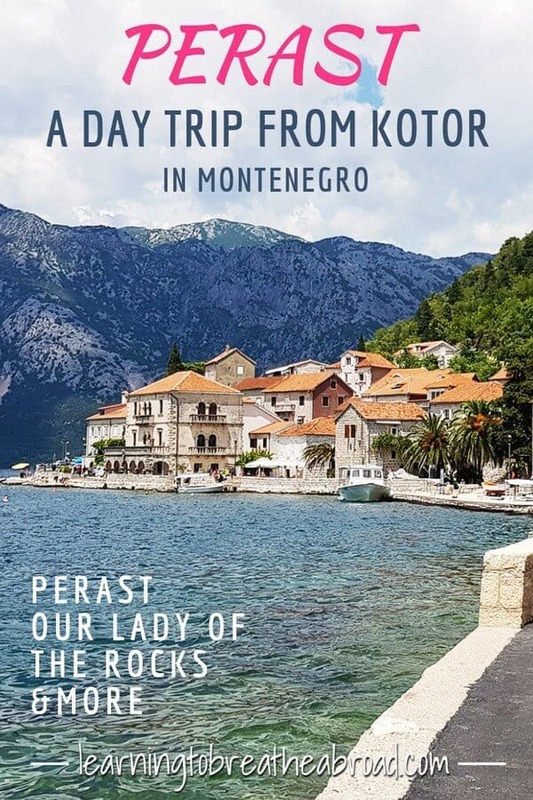 HOW TO GET TO PERAST? 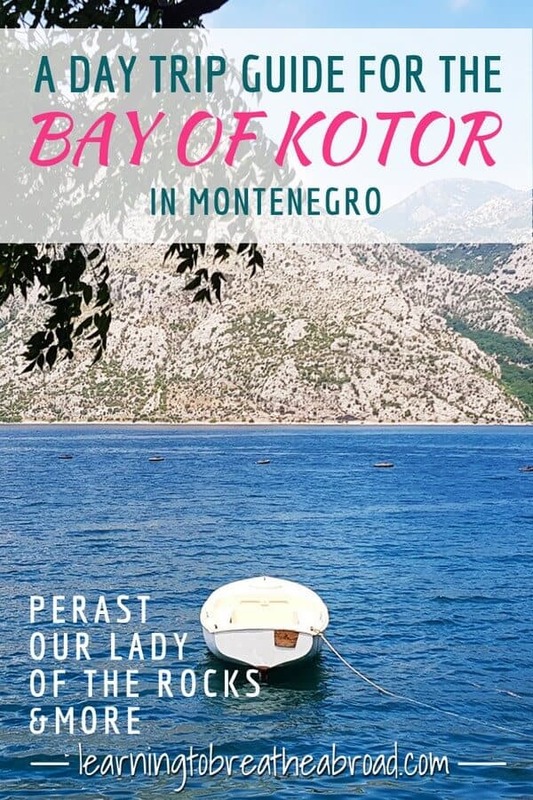 There is a local bus service from Kotor to Perast. The cost is €1 and it should take about a half hour to complete the journey. If you’re coming from Dubrovnik, it should take about 1.5hrs to complete the drive. If you’re looking for luxury, you’ll most certainly find it at the Conte Hotel and Restaurant in Perast, with the best location right on the seafront. Check out the latest prices. We recommend you try the captains old stone house right in town at Apartment Villa Venezia or stay right on the water’s edge at Perast Waterfront Apartments. For the budget conscious, we recommend Bella Vista Zmukic which comes highly recommended. Check out the latest prices. There are paid parking lots on either side of Perast which are big enough to park a campervan. The parking was full when we got there so we just parked a few meters along on the side of the road. There are quite a few places on the side of the road where a campervan can fit. Let Us Know: Have you been to Perast, Montenegro? What were your impressions of the small town? Tell us in the comments!